Saskatchewan-born songsmith Mocky has lived and made music in Toronto, Ottawa, Berlin and London, though he's currently based in Los Angeles. It's here that he put together his latest album Key Change, and while it's not officially out until next week, you can stream it on Exclaim! right now. He relocated after working in California with Feist on her Metals LP and has since forged unlikely working relationships with artists — including one with rising R&B singer Kelela. Both artists make contributions on Key Change, with Feist providing percussion on the previously heard single "Living in the Snow" and Kelela singing back-up on "Soulful Beat" and "Weather Any Storm," as well as the aforementioned single. Chilly Gonzales, Joey Dosik, Moses Sumney, Miguel Atwood-Ferguson and a slew of other musical minds also appear throughout the record. The new material hears Mocky merging the Berlin and Los Angeles music scenes into a collection of songs that embraces the sounds of psychedelia and underground jazz. Listeners get a range of sounds from the sweet, flute-heavy and aptly titled opener "Upbeat Thing" to the gentle funk-tinged pop of "Time Inflation (Message to R2)" to the smooth, relaxed jazz of "Head in the Clouds," all woven together by Mocky's keen sense of experimentation and originality. Key Change arrives digitally on June 30, with a physical CD/LP release slated for July 24 through Heavy Sheet. Until then, though, give it an early listen for yourself in the Canada-only player below, where you'll also find the new lyric video for the track "Living in the Snow." 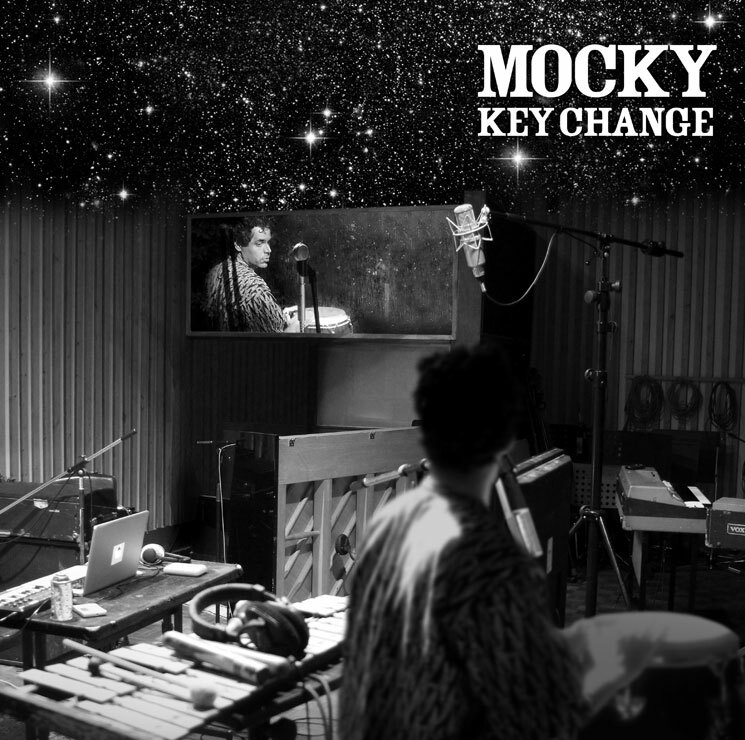 Mocky "Time Inflation (Message to R2)"